The Monterey County Vintners & Growers Association Foundation was one of several wine industry partners to step up during the North Bay Area fires to offer assistance through the creation of #CAWineStrong. Wine industry leaders formed a support network to provide immediate assistance and long-term aid to victims of the fires ravaging Northern California. CA Wine Strong calls on the national wine and wine loving communities to help. 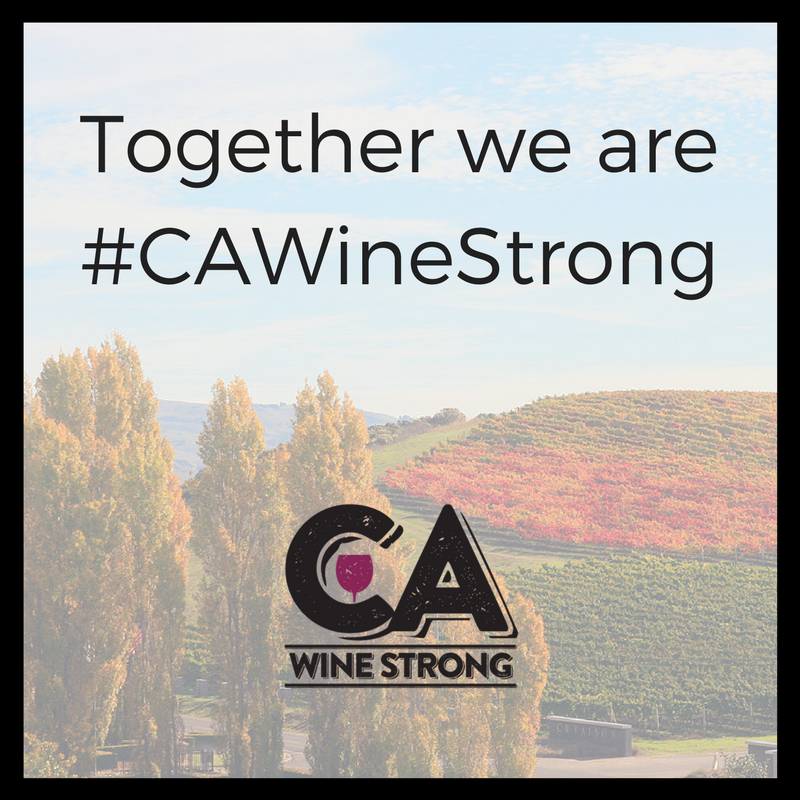 Organized by a group of association leaders representing the Golden State’s major winegrowing regions, support efforts include the #CAWineStrong joint fundraising and assistance with any needed resources. The Monterey County Vintners & Growers Foundation has acted as the fiscal agent for the CA Wine Strong efforts.